Visible whole beans in the Virtu de Jong DUKE start your at-work coffee experience. 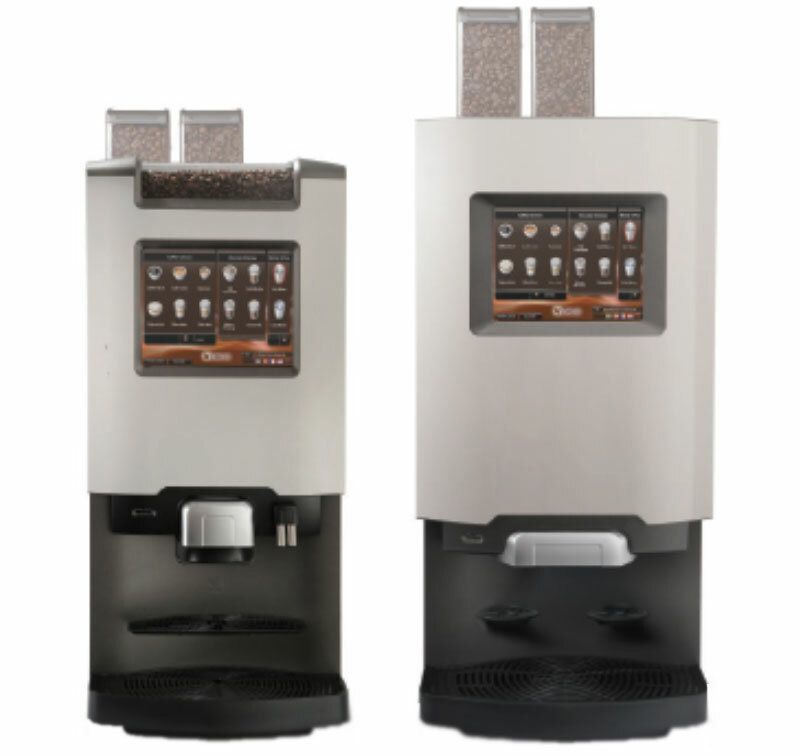 Select your espresso or coffee-based drink using the touchscreen, and then personalize it with flavors, creamers, and sweeteners. Enjoy the sound of whole espresso beans being ground and brewed to perfection straight into your cup, or optional jug. Smell the fresh brew, espresso quality coffee. The Virtu de Jong DUKE turns your Washington DC office into a mini cafe. the Virtu de Jong DUKE. If you are in Washington DC, never settle for ordinary coffee when you can get a Virtu de Jong DUKE. Contact Sun Dun Office Refreshments at 800.466.2731 or sales@sundun.com.